More than 8,000 alleged file sharers are facing legal action, according to the International Federation of the Phonographic Industry (IFPI). This latest crackdown targets uploaders - people who allegedly put their music files onto peer-to-peer networks. It forms part of the ongoing battle by the recording industry to put an end to illegal downloading. In July, file sharing site Kazaa handed over more than $100m (£63m) to the music industry in settlements. People should understand that they can be caught whatever network they are using. It followed other sites such as Napster in changing its service to offer legal downloads. The new cases cover file sharers in 17 different countries who have been allegedly using sites including BitTorrent, eDonkey, SoulSeek and WinMX. For the first time legal action is being taken in Brazil, Mexico and Poland. The IFPI said the actions affect a wide-variety of people: a laboratory assistant has been charged in Finland, while a parson has been served with action in Germany. Parents whose children have been illegally file-sharing have also been targeted. John Kennedy, chairman and chief executive of IFPI, said: "In each of the 17 countries involved in today's actions there are legal music services available to consumers. There is no excuse. "People should understand that they can be caught whatever network they are using. The next time a series of law suits are announced you could be on the receiving end if you are an illegal file-sharer." The recording industry says it has been heavily hit by illegal downloading and that it has affected producers, writers and performers. 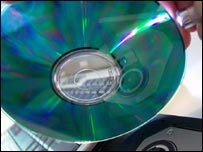 Critics of the IFPI's policy argue that the music industry is targetting its natural audience and that the real causes of CD sales declining are DVD sales, computer games sales and pricing.